In 2017, the Baltimore Orioles were coming off an 89-win season. Of course, we know that season concluded with a Wildcard loss to the Blue Jays in Toronto. Zach Britton, the American League leader in saves, sat idle in the bullpen while starter-turned-reliever, Ubaldo Jiménez served up a walk-off, three-run-homer. Still, even through a bitter defeat in their first postseason game since the 2014 ALCS, there was optimism for the following season. After catapulting to a 15-9 record against teams in the American League East, the Orioles screamed to the top of the division with a 22-10 record to open the 2017 season. Jonathan Schoop was batting .305 through the first 32 games. Newly acquired right fielder Seth Smith carried a .408 on-base percentage and Trey Mancini had an on-base plus slugging percentage of .968. All was right in Birdland. That is, until the team finished their final 132 games with losing streaks of five or more, five times, six or more four times and one seven-game losing streak to cap off a month of May where they won just 12 games. Still, for a club that had lost 87 for the first time since 2011 when they lost 93, there was still a reason to be optimistic in 2018. The optimism of the team competing lasted until the All-Star Break. A 28-69 record, second to the Kansas City Royals for worst record in the majors at the time, was what ownership needed to begin a complete roster overhaul. Stars like Machado, Britton, Brach, Schoop, Darren O’Day and Kevin Gausman were traded. Players like Cedric Mullins, DJ Stewart and Renato Nuñez became regulars in the lineup and the optimism of competing quickly evaporated into a full rebuilding mode. The Orioles made the decision to not bring back former manager Buck Showalter and Dan Duquette just three days after the conclusion of the worst season in franchise history. There’s no doubt the two brought winning baseball back to Baltimore, but it was time for a change. On November 16, 2018, the search for a new General Manager culminated with the hire of former Houston Astros GM, Mike Elias. Five days later, the club announced they hired former Astros analytical engineer, Sig Mejdal. Finally on December 14, the team announced they had hired former Chicago Cubs bench coach, Brandon Hyde, to be the 20th manager in franchise history. In addition, Doug Brocail replaces Roger McDowell as pitching coach and Don Long replaces Scott Coolbaugh as hitting coach. All signs point towards the organization moving in the right direction. While you won’t see the names we’ve come to love over the years taking the field at Oriole Park at Camden Yards, there’s reason to be optimistic about the future of this team. Elias and Mejdal were on the 2011 St. Louis Cardinals staff together, as well as the 2017 Astros club, both World Series champions. Hyde was on the Cubs staff in 2016, another World Series championship team. They’ve proven themselves and should make you a believer in the, “trust the process,” manta. The club is committed to spending more in the international market and being focused on developing the analytics department. 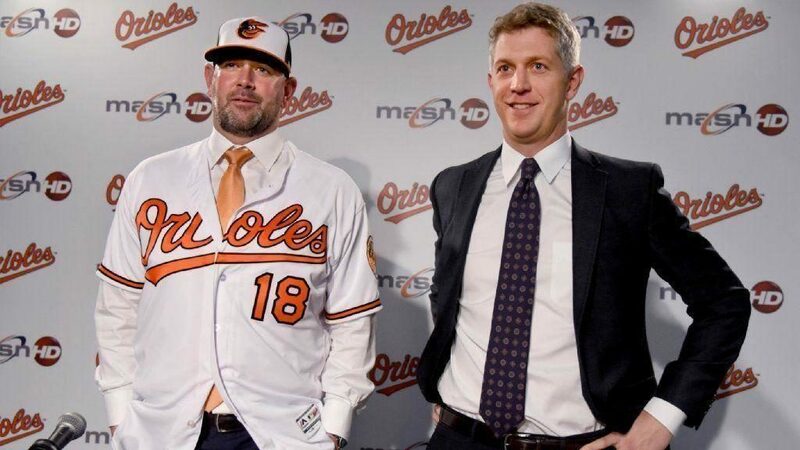 There’s a reason to be looking forward to the future of Orioles baseball. With the future about to play out right before our eyes, there’s a few players that could make an impact as early as 2019. Only about half of this year’s projected 25-man roster were on the Opening Day roster last season, but there’s still promise. 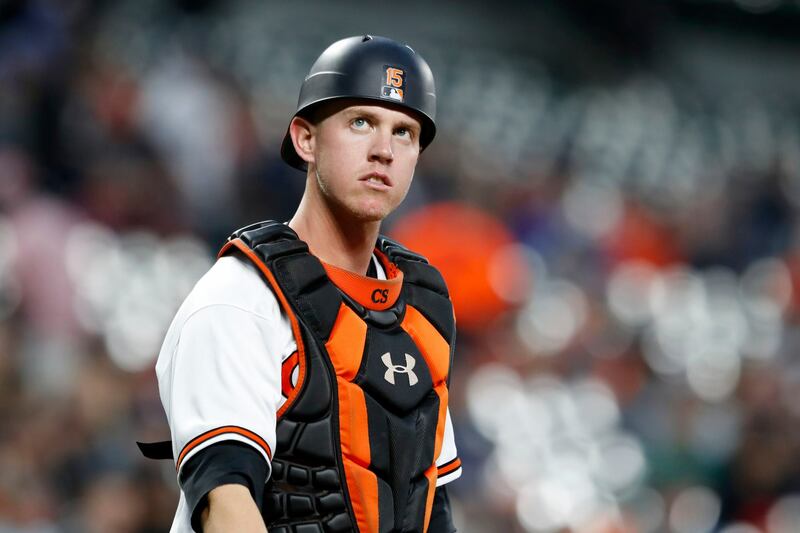 Pending any trades, starters Dylan Bundy and Alex Cobb should return as the number one and two starters respectively. Bundy has shown flashes of being capable of being the ace of the rotation, as his first five starts last season saw him pitch to a 1.42 ERA. He also ended the month of June with an ERA of 1.98 in four starts. Cobb pitched to a 2.40 ERA in his final eight starts, after missing Spring Training and not getting his first start until April 14. Richard Bleier will return from his strained lat that sidelined him in June. Bleier only allowed one earned run in his first 17 outings and just seven in 32.2 total innings. Speculation, but Mychal Givens will probably be the closer in 2019. In his final 17 games, Givens allowed just three earned runs in 18.2 innings and limited opposing hitters to a batting average of just .068. Flipping around to the offense, Jonathan Villar should continue to add much needed speed to the top of the lineup. After being acquired from the Milwaukee Brewers in the Schoop deal, Villar stole 21-of-24 bases in an Orioles uniform. That’s the most stolen bases by an Oriole since Nate McLouth swiped 30 in 2013. Other players that could make significant contributions in 2019 are the aforementioned Cedric Mullins, DJ Stewart and Trey Mancini. 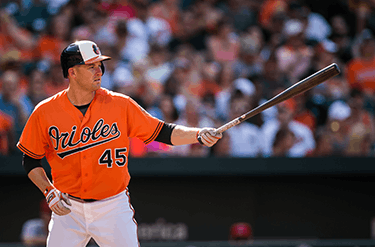 Then, there’s Chris Davis – Baltimore’s $161 million-dollar man. Davis will try to bust out of his three-year long slump and show why he was given the largest contract in franchise history. It sure is easy to look at the negatives with a team in re-building mode. Sure, they probably won’t compete for a division title for a few years and maybe they won’t even finish with a .500 record. Keep your faith in the guys in the warehouse though. I don’t know about you, but I’m fairly certain this team isn’t headed for 14 more years in the cellar, otherwise known as, the Dark Ages – part two. I couldn’t agree more, Brian. I am keeping a positive attitude and hoping for the best-especially for Chris Davis to become “Crush” again!